I’m sorry for all the typos in my recent posts. I usually don’t finish the post until midnight or after, and I’m so damn tired I have not been as diligent with my revisions as usual. 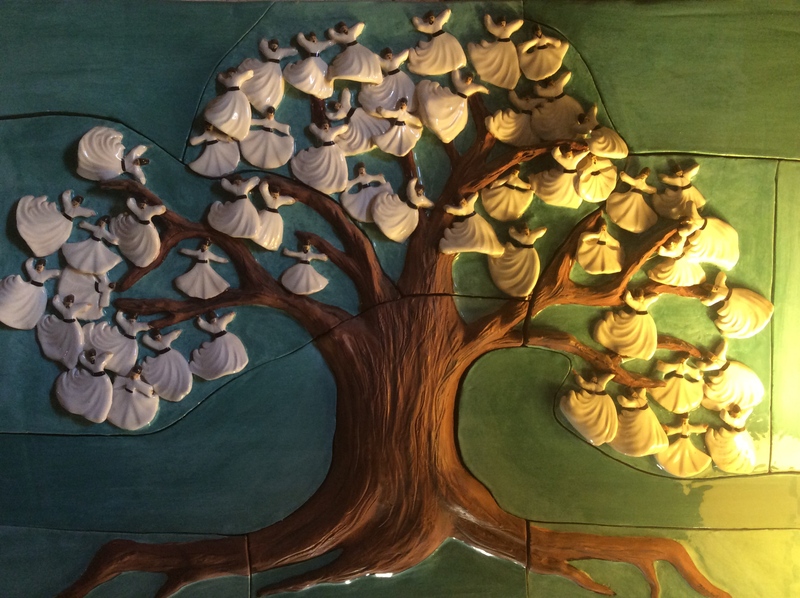 Here’s what was on the wall beside me as I had breakfast this morning – all made from ceramics, with Whirling Dervishes as leafs. Very cool!!!! love it, and loving the posts, now I really want to go to Turkey. Another place on my list. Ah Katheryn – Jen and I are already hatching a possible Turkey walking tour! Including the Whirling Dervishes… but we’ll see… Hope you and Michael are well!